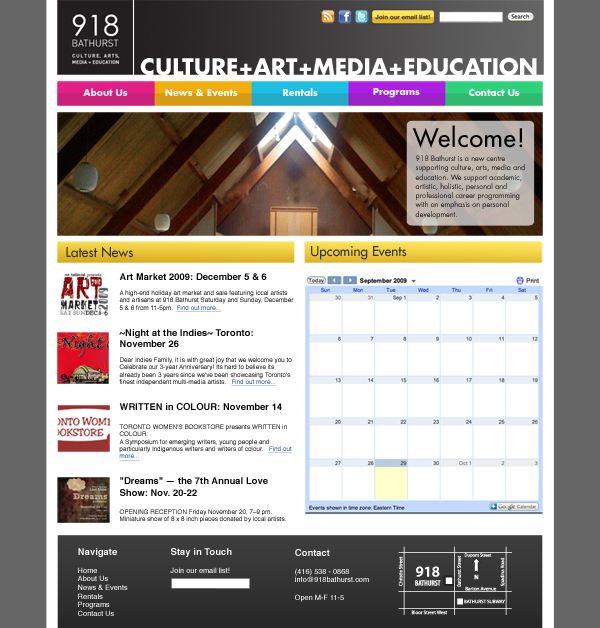 I designed and coded a brand new website for 918 Bathurst, built on WordPress for ease of updating by staff members. The vibrant look of the site captures the high-energy mood at the centre. Note: I no longer maintain the website and some things have changed! The image here reflects the site as I created it.